So there are those of you out there reading this blog who draw…and you want to get better at drawing. Who doesn’t? The one piece of advice I can give you is a very simple one – DRAW! DRAW! DRAW! The best way to practice is to pick up your pencil and draw. Draw as much as you can. The best thing to draw is to draw from life. If it holds still, sketch it. If you need to find subjects to draw, you don’t have to look very hard. I’m going to talk with you today about a very enigmatic illustrator – someone who is not really remembered in his own country but who would be very influential on a certain animator from the USA. In a way, this man would influence the art of classical character animation of the USA in its entirety. The man I speak of is one named Heinrich Kley. Kley was born in 1863 in Karlsruhe, Germany. He trained at the Karlsruhe Akademi and from there, did many paintings in oils and watercolors of various subjects like still lifes and landscapes. He also did “industry paintings” of modern life with factories and workers toiling in them endlessly. That probably would shape the way for his main claim to fame. Heinrich Kley did many drawing with pen-and-ink, many of them illustrations for a pair of magazines known as Jugend and Simplizissimus. Some of you may know and some may not. Besides this free blog on WordPress.com, I have a self-hosted blog powered by WordPress.org that serves as my main base of operations. 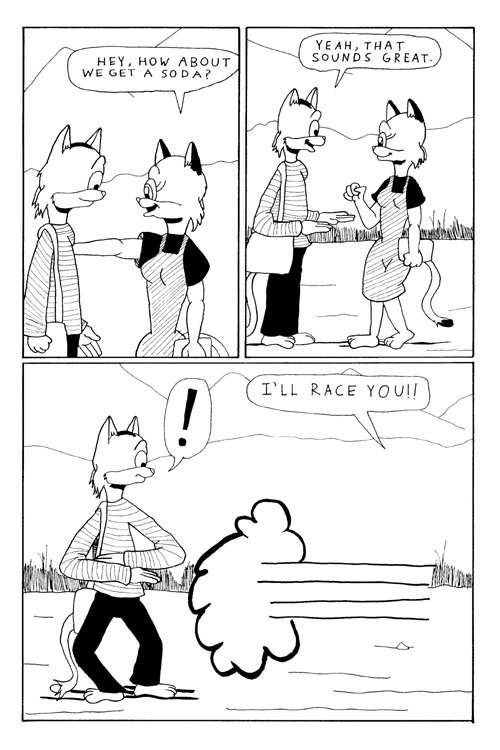 It’s dedicated to an independent comics series of mine and it’s titled Sunnyville Stories. That blog is meant to discuss that work while this one is intended primarily as a showcase for my other works in pen-and-ink like my landscapes and pin-up girls. However, I’ll briefly tell some of you readers out there about my magnum opus. I talked about how Max Ernst was influential on my work in a previous post . His best known work was his collage novel (and ancestor to the modern graphic novel) Un Semaine De Bonte (see that above link for more info). But he produced a number of other works, chiefly oil paintings and mixed media work. Here’s a neat YouTube video showing a number of his pieces. Thanks to Distantmirrors of YouTube for putting this video together. What I really found neat about Ernst’s work is that he was a self-taught painter. He had no formal training.